It’s that time of the month again!! Time for an STS blog train! 🙂 Did you know that you too can join in on the blog train?? Whether you’re an experienced designer or a newbie…all are welcome!! 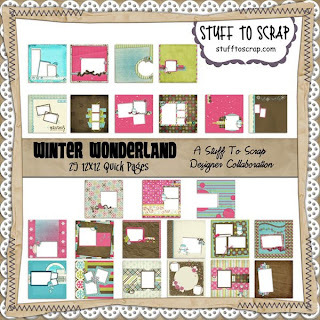 Click here to find out more…and next months colors and theme are too fun!! And here’s my portion…click the preview to download from the direct download. OR if that is taking too long Click here to download from 4shared. And here’s the whole train. This entry was posted in Uncategorized on January 31, 2011 by christiedawn. Better late than never right?!! hehe. Y’all needed the last week reminder anyway right? Those that haven’t gotten this great stuff…what are you waiting for?! 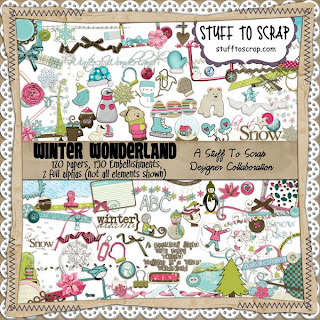 Check out the super cute Mega Collab this month “Winter Wonderland”. A Closer look at the 120 Papers!!! A Closer look at some of the awesome elements! And of course a QP Set! 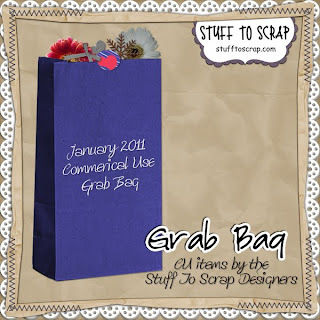 And don’t forget the lovely CU Grab bag! I contribute a few items to this each month and I LOVE getting this grab bag! 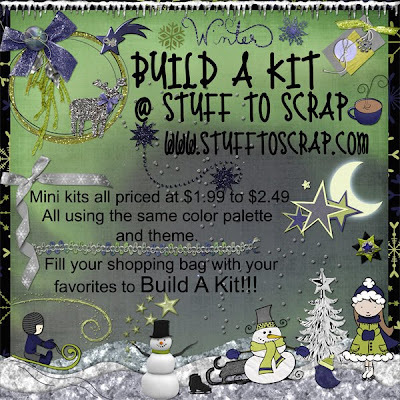 And don’t forget the Build A Kits this month.. LOVE the color scheme! 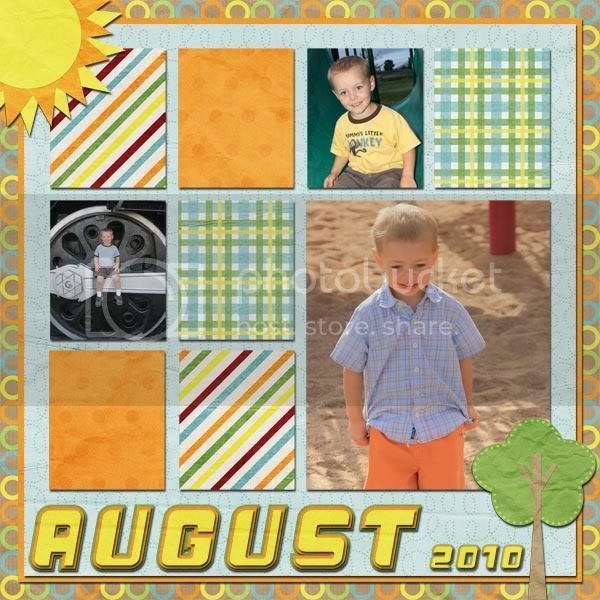 This entry was posted in Uncategorized on January 25, 2011 by christiedawn. 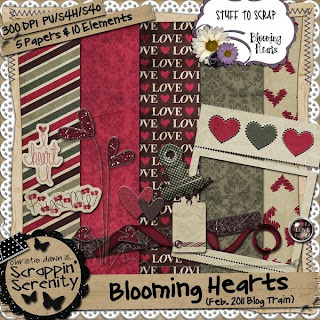 I, Scrappin Serenity have a new kit out today! It is sure to help you fight away the winter blues! And the best part!? It’s on sale for $2.00 thru Tuesday, Jan. 25th. Tired of those winter blues? 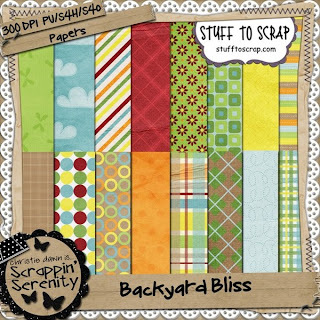 Chase them away by scrapping with this bright and sunny backyard kit! 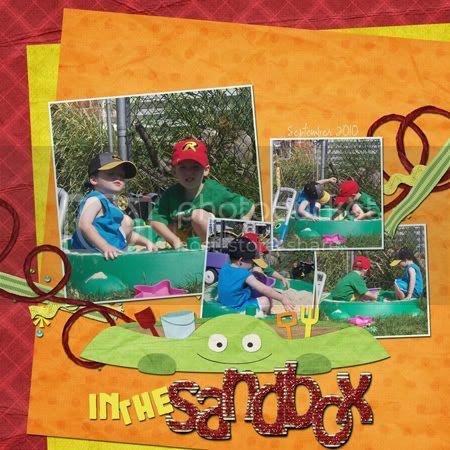 Or Maybe you still have pictures to scrap of the kids playing outside this spring and summer, or maybe of some family barbques! 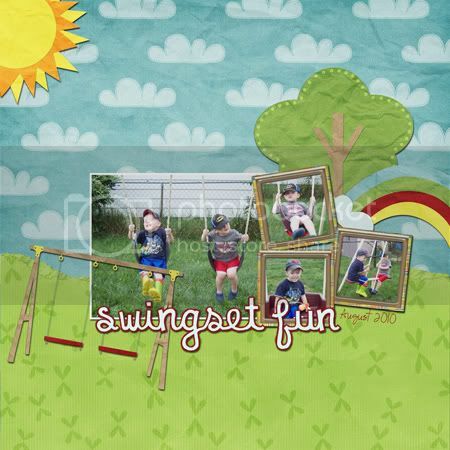 From swings, to slides, to sandbox fun and even backyard barbeques, “Backyard Bliss” has you covered! 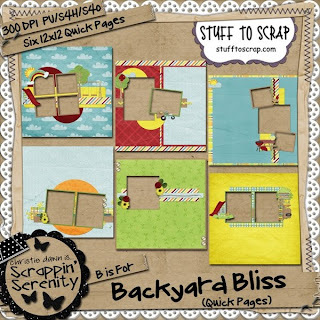 Backyard Bliss has 16 papers, 6 Cardstock Papers, 43 elements, a lowercase alpha, some punctuation and numbers! It is S4H/S4O friendly too!!! Click previews below to be taken to the store. This entry was posted in Uncategorized on January 20, 2011 by christiedawn. 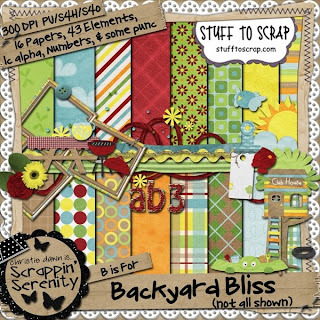 Scrapalicious Cereal is hosting the speed scrap tomorrow evening. Here is a look at her Participation Prize inspired by her daughter’s pet snake. This entry was posted in Uncategorized on January 12, 2011 by christiedawn. 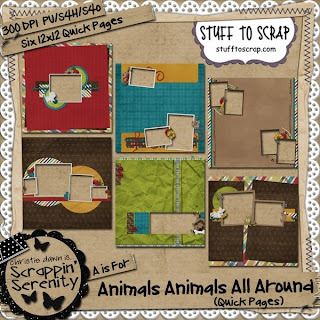 I have a new kit out this week called “Animals Animals All Around.” Check it out below…all previews linked to the store. 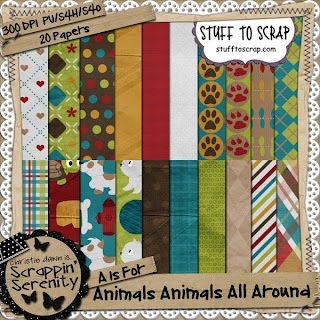 Do you have a favorite animal that you need to scrap? Do you often take trips to the pet store dreaming about owning a new pet? Or do your little ones LOVE to play with those tiny cute little pets? If you answered yes to any of these questions then Animals Animals All Around is the perfect kit for you!! This kit was designed with a trip to our favorite pet store in mind. And the colors are perfect for a boy pet or a girl pet!! 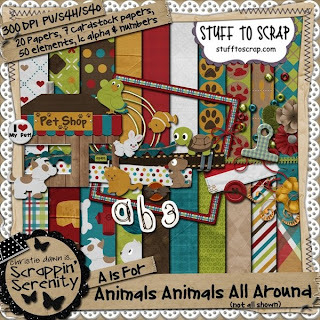 You can find cats, dogs, fish, birds, turtles, and mice (or hamsters if you prefer) in this kit! 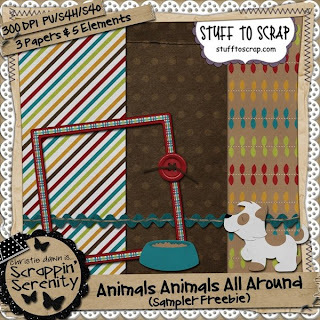 Animals Animals All Around has 20 papers, 7 Cardstock papers, 50 elements, a lower case alpha and numbers. And it is S4H/S4O Friendly!! 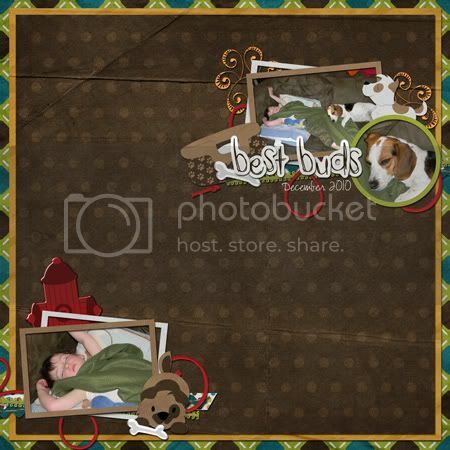 This entry was posted in Uncategorized on January 6, 2011 by christiedawn. 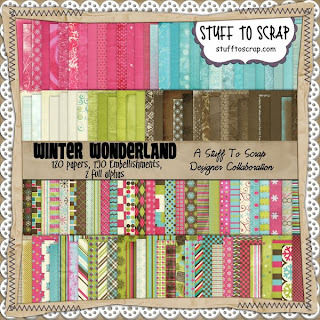 An STS Giveaway at Creative Busy Hand Blog!! That’s right, you can win ANY 3 STS Designer Mega Collabs! 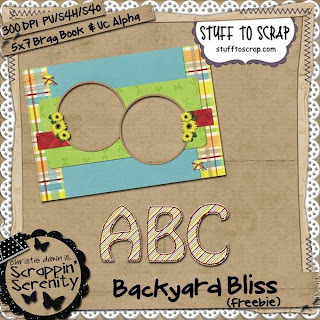 Creative Busy Hands blog is 2 years old and they are doing some giveaways… and Stuff To Scrap is a sponsor of one of the giveaways. Check out the blog HERE for more information on how you can win. Good luck!